The Verizon Barclay-Vessey Building (Ralph Walker of McKenzie, Voorhees and Gmelin, 1923-1927) is an important early Art Deco skyscraper in New York. 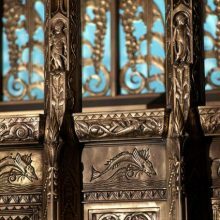 The lobby’s twelve ceiling murals on the history of communications are embellished with gilded pastiglia relief ornament and surrounded by decoratively painted foliate borders, ornamental plaster foliate borders, and gilded light coves. 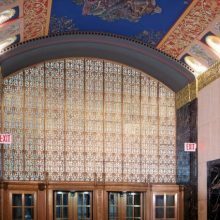 The lobby wall and floors are clad in polished travertine accented with deep red and green Levanto marble. 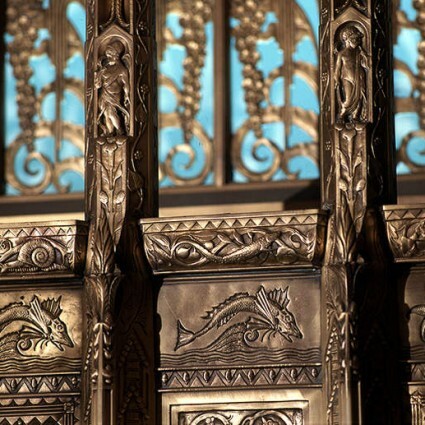 Extensive ornamental metalwork includes bronze and hammered iron at doorways, elevators and grills. 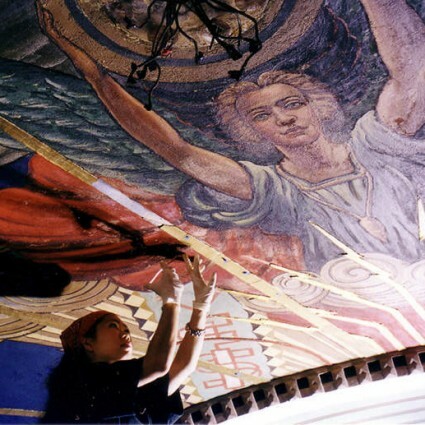 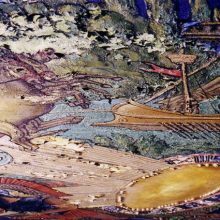 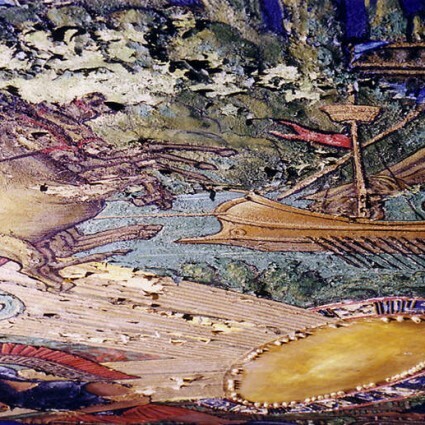 EverGreene was contracted to conduct a pilot study for the conservation of the murals and restore all decorative elements of this magnificent space following catastrophic damage suffered during the collapse of the World Trade Center on September 11, 2001.